After spending a long, glorious weekend camping, Mondays seem like even more of a drag. I don’t want to do laundry. I don’t want to grocery shop. I don’t want to unpack. Nope. Just put me back in my camp chair with my book and some coffee, thanks. If only life was that simple. Instead, I have to adult. There was a perk today, though. Over the weekend, our new Nespresso machine showed up.  This is big news for our kitchen. We haven’t owned an electronic coffee maker in years. We’ve just been kickin’ it old school with our French press. But when you work from home, it’s kind of nice to have a fresh, hot cup whenever you want need it. So we ordered the Nespresso machine last week and already had coffee pods ready to pop in this morning. After reading some reviews, I found that Gourmesso pods are less expensive (score!) and fair trade (double score!).  I’m super impressed with the flavor of their espresso – and so far I’ve tried 5 of their varieties. Our kitchen smells like a gourmet coffee shop and I’m not mad about it. Needless to say, I’ve been sipping coffee allllll morning and I don’t see any reason to stop. This coffee maker is like a toy for grown-ups and I’m like a kid on Christmas morning! I’ve even devised a way to use it in the evening and I have no shame. 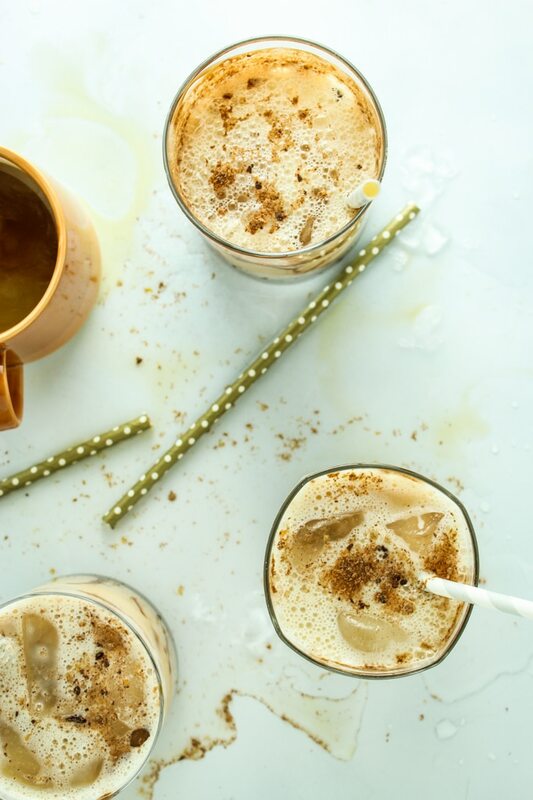  We’re making mudslides, y’all. Mudslides have a special, nostalgic place in my heart. They were my drink of choice for several spring breaks and our honeymoon. It’s something that the Caribbean does very well. And it’s also something that every bartender does a little different. Instead of adding coffee liqueur – which can sometimes be too sweet for my liking – we just skipped ahead, straight to espresso. Personally, I love the edge that it adds to these mudslides. 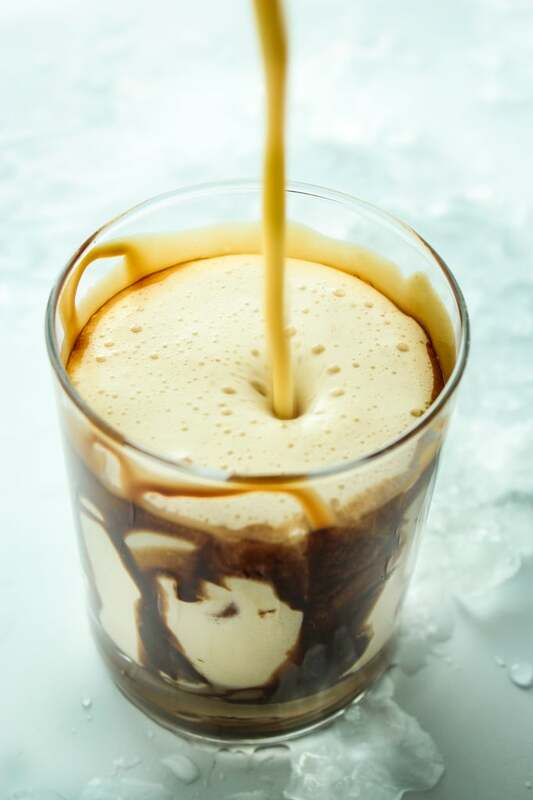 We worked with Gourmesso to create this original recipe using their fair-trade espresso pods and we used their Soffio Vaniglia variety because I am a huge fan of vanilla. 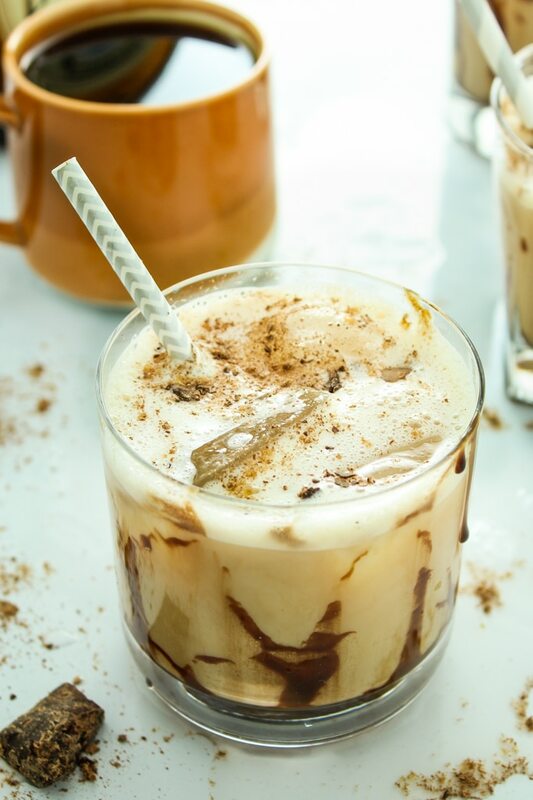 It’s the perfect compliment to the Irish cream and it adds a warm flavor to the cocktails. 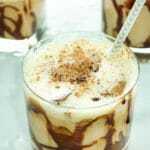 I know mudslides are traditionally considered a “tropical” or hot weather drink. But if you ask me, sangria is better suited to summertime sipping. 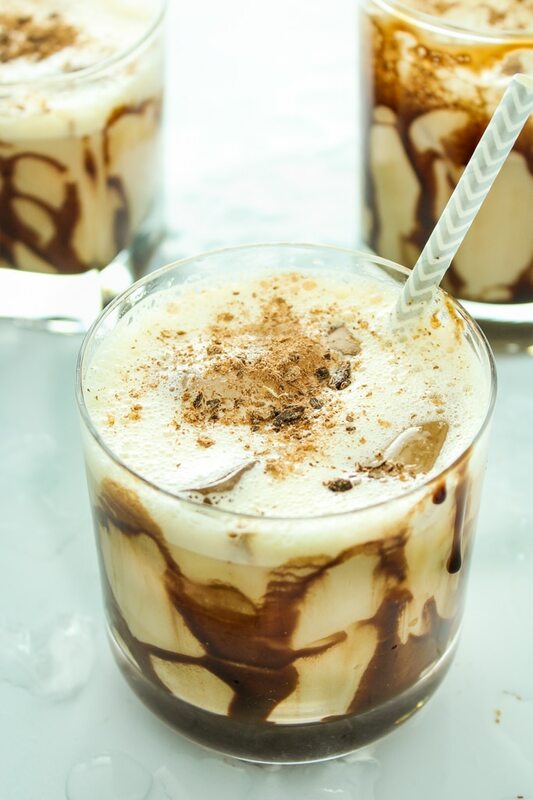 Personally, I think these mudslides feel perfect for this time of year. Cozy up on the couch with a blanket and watch your favorite scary movie, drinking one of these – that sounds like an ideal weeknight to me. Maybe I’m getting the hang of this adult-ing thing? 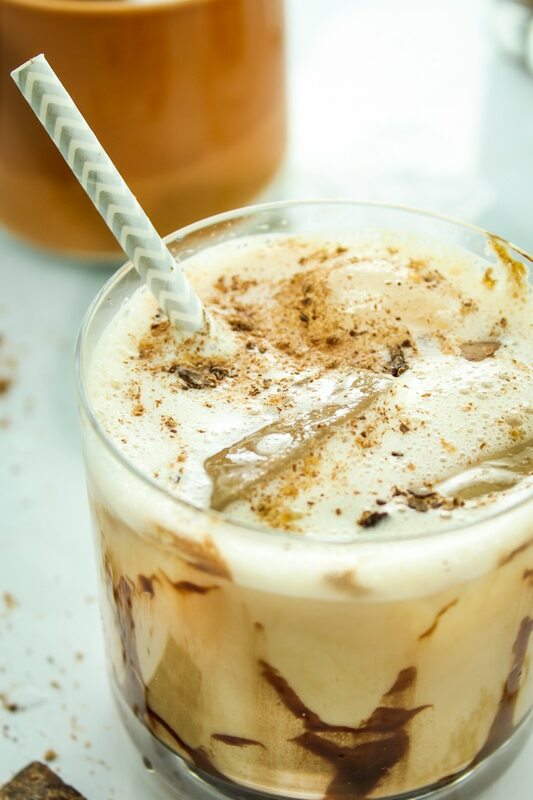 Fresh espresso, Irish cream, and smooth vodka make magic in these creamy, delicious iced mudslides. Add ice to a cocktail shaker. Pour in *cooled* espresso, Irish cream, and vodka. Shake 10-15 seconds and pour into glasses. Enjoy!